President Donald Trump stands in the Oval Office in the White House in Washington, March 2019. Congress must request the president’s tax returns to understand his murky finances; monitor potential conflicts of interest relevant to national security and other critical issues; and oversee the tax code and IRS. Donald Trump has reneged on a promise he made nearly four years ago to release his tax returns publicly. By keeping his returns hidden, he has broken the precedent every president and major party nominee for president has followed over the past 40 years. His actions also heighten concerns about what he could be hiding. The new Democratic majority in the U.S. House of Representatives has pledged to conduct the kind of vigorous oversight of the executive branch that has been lacking for the past two years. As part of that oversight agenda, House leaders have said that they intend to invoke their authority under the law to obtain Trump’s tax returns from the Internal Revenue Service (IRS) and to review them. Trump’s Treasury Department is threatening to withhold the returns from Congress and take the issue to the courts, where his team reportedly hopes to bog down the request in a “quagmire of arcane legal arguments.”1 But the law could not be clearer: Congress’ tax committees have the authority to obtain Trump’s tax returns on request—and the U.S. Treasury Department has no basis for refusing. Secretary of the Treasury Steven Mnuchin would be violating the law if he directs the IRS to stonewall Congress. This report explains why Congress has not only the clear authority to obtain Trump’s tax returns, but also the constitutional responsibility to do so given his secrecy and his domestic and foreign business entanglements, as well as the powers of the office. It explains that the law giving Congress this authority was intended for situations such as this—to enable Congress to exercise oversight over the executive branch and monitor conflicts of interest. While regular citizens can expect that their tax returns will remain private, the president of the United States should have no such expectation, especially when he refuses to divest his domestic and international business holdings. Tax returns contain information not available elsewhere that could provide critical information to complete the president’s financial picture. On Election Day 2016, the American people did not know that throughout 2015 and 2016, Donald Trump had been pursuing a Trump Tower Moscow deal that could gain him as much as $300 million in profits. The public did not know about the deal, because Trump and his campaign repeatedly lied about it.2 The extent of Trump’s dealings with Russia, or with other foreign governments or interests, remains unclear—and Trump’s finances in general are still murky. Under these circumstances, it is not only appropriate but also vital to the functioning of our democracy for Congress to seek an answer to the basic question: Is President Trump working for the interests of the country, or himself? As this report explains, Congress cannot adequately answer that question without first obtaining and reviewing his tax returns. The law also requires the IRS to furnish tax returns or return information directly to other congressional committees upon their request. The other, nontax committees must be “specially authorized” to inspect the returns or return information by a House- or Senate-approved resolution. That resolution must “specify the purpose for which the return or return information is to be furnished and that such information cannot reasonably be obtained from any other source.”9 These further restrictions do not apply to requests by the tax committees mentioned above. While portions of the tax code may be byzantine, Section 6103(f) is straightforward: If Congress asks for any tax returns, the IRS must provide them. Congress’ authority to obtain tax returns from the IRS is an important part of its oversight powers—and the law establishing it was intended for situations just like the one Congress faces today. It was enacted to enhance Congress’ investigative powers in the wake of past executive branch corruption: the infamous Teapot Dome scandal of the 1920s. Against this background, Congress, via the Revenue Act of 1924, gave itself the power to compel the secretary of the treasury to furnish tax returns upon request.17 In approving the provision, legislators cited Congress’ need to review tax return information “to evaluate Administration tax proposals, develop its own tax legislative initiatives, and carry out investigations.”18 The provision faced opposition from some parties, including Coolidge, Mellon, and members of the business community, on the grounds that it could compromise taxpayer privacy. But in enacting the provision, Congress determined that access to tax returns was important for its legislative prerogatives, including gathering information for prospective legislation and performing oversight of the executive branch. The 1924 provision, with some amendments, is still in effect today. Thus, in requesting President Trump’s tax returns and potentially releasing relevant information to the public, the House of Representatives is on solid legal ground and building on established precedents. The Trump administration is reportedly preparing to refuse the House Ways and Means Committee’s request, potentially relying on specious arguments.35 The administration has dropped hints that it may claim that such a request would be beyond the scope of Congress’ powers under the U.S. Constitution. The administration seemingly assumes that any request from the House would be made purely for “political purposes.”36 That is simply wrong: As explained below, Congress has numerous reasons for seeking to review the president’s tax returns, each of which would be a valid exercise of Congress’ legislative powers, including its powers of oversight and investigation. There are some limitations on Congress’ investigative power. As Watkins held, it cannot investigate solely for the purpose of alleging or proving crimes, or to usurp the judiciary’s role in settling disputes. Congress also does not have the power to “expose the private affairs of individuals without justification in terms of the functions of Congress.”40 But the Watkins case, and similar cases defining the limits of Congress’ investigative power, involve compelled testimony from private individuals—not the most powerful official in the U.S. government.41 In Kilbourn v. Thompson, a 19th-century case involving a private citizen, the Supreme Court held that Congress has no power to investigate subject matters on which it has no power to legislate. But as the next section of this report discusses, the president’s tax returns could provide critical information about many issues that aid Congress in performing its legislative functions, including contemplating new legislation and overseeing the administration of existing laws. In order to exercise its legislative responsibilities, Congress must obtain Trump’s tax returns. While not intended to be an exhaustive list, below are six key reasons why. Congress must review the president’s tax returns to determine if America’s national security is or might be compromised by financial conflicts of interest. Congress’ most urgent investigative priority is to seek answers to the question posed by House Speaker Nancy Pelosi (D-CA): “What does [Russian President Vladimir] Putin have on the President, politically, personally or financially?”42 President Trump has had an extensive business relationship with Russia, which Americans recently learned continued through the 2016 election despite repeated denials from Trump, his campaign, and administration.43 He has been inexplicably complimentary toward the Russian president, despite Putin’s fundamental hostility to democratic values, as well as Russia’s military aggression and brazen attacks on U.S. democracy. The Trump administration has also repeatedly tried to blunt the impact of U.S. sanctions on Russia. These attempts began even before Trump took office, when, in December 2016, then-national security adviser Michael Flynn called then-Russian Ambassador Sergey Kislyak to discuss sanctions.51 Flynn has since pleaded guilty to lying to investigators about these calls.52 Recently, the administration has failed to provide a sufficient explanation for its decision to lift sanctions against companies owned by Russian oligarch Oleg Deripaska, a close Putin ally and former business associate of Trump campaign chairman Paul Manafort.53 House Ways and Means Committee Chairman Richard Neal (D-MA) has twice written Treasury Secretary Mnuchin demanding that he address “the impact [sanctions relief] would have on the U.S. effort to end Russia’s malign activities aimed at our country,” and urging him to delay the lifting of sanctions until Congress has the opportunity to conduct a meaningful review.54 Congress clearly has a legitimate legislative purpose in investigating whether the administration’s sanctions policies are influenced by financial conflicts of interest. The findings of such an inquiry could inform Congress as it determines whether to overturn any given actions by the administration or curb the administration’s discretion over sanctions policy. Congress must also review the president’s tax returns to determine if he has conflicts of interests bearing on his trade and tariffs policies. But the authority over tariffs ultimately rests with Congress. If Congress were to determine that the president has too much power over trade policy, it could limit his discretion through legislation, including by reclaiming the power to set tariffs directly, revoking TPA, or otherwise modifying the president’s authorities. Some members of Congress have introduced legislation to rein in the president’s powers over trade.58 In theory, Congress could also delegate more power to the president, if it so chose. In contemplating any legislation to modify the president’s powers over trade and tariffs or in considering trade agreements, Congress needs to know whether the president’s actions and policies are influenced by personal financial interests, including business interests in foreign countries.59 That assessment requires a complete and accurate picture of his business interests, including income and taxes paid in foreign countries, foreign assets, and foreign financial accounts. The president’s tax returns could help determine whether the president is violating the U.S. Constitution by receiving benefits from foreign countries without Congress’ consent. Congress clearly cannot fulfill this responsibility without the ability to fully investigate payments or other financial benefits flowing from foreign governments to the president and his businesses. And the president’s personal and business tax returns could shed light on the financial flows between the Trump Organization and foreign governments, or businesses owned by foreign governments. In addition to gifts or cash payments, foreign emoluments could theoretically come in many forms, including equity investments, loans, or loan forgiveness through business entities. Congress must review the president’s tax returns to determine whether he is benefiting from his own tax policies—and to what extent—despite his many public assertions to the contrary. As highlighted above, one of the reasons that Congress enacted Section 6103(f) was to enable itself to determine if Treasury Secretary Mellon’s tax policy recommendations were colored by his personal financial interests. That determination is even more urgent with regard to President Trump. Numerous skeptics observed that the tax bill included several changes that would be highly likely to benefit the president and his family—including a special new deduction for pass-through businesses such as the Trump Organization; exemptions for real estate from new limits on interest deductions and tax-free exchanges; a substantial reduction in the alternative minimum tax; and a massive cut in the tax on multimillion-dollar estates.68 However, in part because members of Congress may have relied on the president’s representations to the contrary in supporting the legislation, it is incumbent on Congress to verify whether those claims were true. Congress also needs to know to what extent Trump would benefit from making temporary aspects of the tax law permanent—including the pass-through deduction—as Trump has recommended.69 It should also seek to determine whether President Trump is benefiting from the regulatory actions that his Treasury Department has taken pursuant to the 2017 tax law, including the regulations concerning the pass-through deduction. Doing so could inform Congress as it decides whether to amend the tax law or repeal it in full or in part. A more complete picture of the president’s finances would also inform Congress as it considers future tax policy recommendations from the administration, including those in his recently released budget. If the president is personally benefiting from his recommended tax policies, Congress could reasonably decide to give those recommendations less weight. To the extent the president is not paying a fair amount of tax for a person of his income and wealth, his returns could also highlight areas of the tax code in need of reform. Congress must determine whether the IRS is adequately auditing the president. In the 1970s, the IRS began a practice of automatically selecting presidents and vice presidents for audit every year, which the Carter administration said would help “allay any concerns in the public about the President’s payments of taxes.”74 The IRS’ practices for these audits are spelled out in its internal handbook, the Internal Revenue Manual.75 But the IRS is not required to abide by these internal procedures, and there is no way for Congress or the American people to know whether the IRS is actually auditing the president adequately, or whether the president is exercising inappropriate influence. In normal times, this might be a hypothetical concern. Recent White Houses have respected a firewall with the IRS on taxpayer enforcement matters. However, President Trump has demonstrated that he has little regard for established norms within the executive branch that protect against abuses of power. He has repeatedly sought to exert control over the Justice Department’s probe into Russian interference in the 2016 campaign and spinoff investigations.76 He reportedly ordered a White House aide to direct the Justice Department to block a corporate merger involving CNN’s parent company to punish the network for what he perceived as unfavorable news coverage of him.77 He meddled in the Government Services Administration’s decision on whether to relocate the new FBI headquarters, apparently to prevent a competing hotel from locating across the street from the Trump International Hotel in downtown Washington, D.C.78 Trump seems quite capable of trying to exert pressure on an IRS audit of him and his businesses—and if he did, there would be no way for Congress to know unless it obtains his audit file. Even if there has been no direct interference, Congress must still ensure that the IRS is not treating the president differently or leniently, for any reason. The public disclosure of past presidents’ tax returns allowed for Congress and the public to review them in connection with other information about the president’s finances. Trump’s refusal to disclose his returns makes that kind of verification impossible. Ensuring that the IRS adequately audits the president is always important—but especially so when there is abundant evidence that a particular president has been less than honest in paying taxes. Investigative reports in the press based on isolated tax disclosures and other evidence have found that Trump may have avoided paying income taxes for up to 18 years based on a questionable $916 million deduction; that he engaged for years in numerous aggressive schemes to reduce his family’s estate and gift tax liability by hundreds of millions of dollars, including the use of a sham corporation and “instances of outright fraud”; and numerous other instances of aggressive tax avoidance, if not illegal tax fraud.79 The president’s former lawyer, Michael Cohen, recently testified to Congress that Trump did not release his tax returns publicly, because Trump believed that scrutiny of his returns would lead to audits, back taxes, and penalties.80 Under these circumstances, Congress would be derelict if it does not review Trump’s returns and other return information, including audit files, to determine if he has been audited sufficiently. Congress should review the president’s tax returns as it considers additional disclosure requirements for candidates and officeholders. Some of these issues are within House Ways and Means Committee jurisdiction, while others are within other committees’ jurisdiction or overlap with the Ways and Means Committee’s. But as Professor Yin testified, the House Ways and Means Committee is empowered to obtain tax returns to inform Congress on any issue—not only those within the committee’s legislative jurisdiction. Permissible purposes for this committee obtaining and reviewing returns include “any responsibility given to Congress under the Constitution.”84 If necessary, the House could also pass a resolution enabling the other committees to obtain the president’s returns from the IRS. Tax returns can provide important information about a president’s finances that is not disclosed elsewhere. 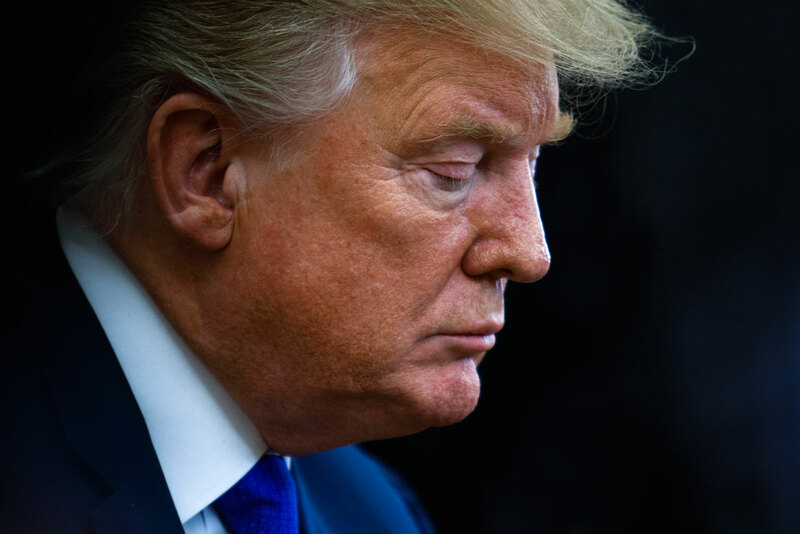 When reviewed in connection with other documents or publicly available information, the returns can therefore help form a more complete picture of the president’s finances and business dealings. Understanding Trump’s financial picture requires untangling this complex web of entities by reviewing their tax returns in light of other available information. Some Republican members of Congress have argued that the president, like other Americans, should have an expectation of privacy in his or her tax returns. But if the president of the United States has any privacy interest at all in his tax returns, it is overwhelmed by Congress’ interest in informing itself and thereby fulfilling its function within the constitutional system of checks and balances. As the most powerful person in the world, the president should not expect any degree of privacy with regard to his or her business or financial matters; these matters are, by virtue of the unparalleled powers of the office, public issues. Presidents and presidential candidates are scrutinized about every aspect of their lives, including their careers, values, religion, family history, personal behavior, and personal habits.99 The information on a tax return is far more important and far less personal than what we expect from candidates in other areas. Tax returns are generally confidential—but only because Congress enacted a law making them so. And that law has exceptions, including Section 6103(f), enabling congressional oversight and investigations that may require tax returns and return information. If Congress determines that public disclosure of information from the president’s tax returns is warranted, it can decide whether to exclude or redact information that unnecessarily impinges on the privacy interests of other taxpayers, such as business partners. The administration has hinted that refusing to provide President Trump’s tax returns to Congress would be justified, because Congress would inevitably “leak” information from the president’s tax returns.100 This argument is unfounded and illogical. As explained above, the House Ways and Means Committee is specifically given the authority to release tax returns publicly if it decides that, in Professor Yin’s words, fulfilling its “informing function” is important enough. Since the law gives Congress the discretion to release returns and return information publicly, it would defy logic to suggest that the possibility of an unauthorized leak prevents Congress from obtaining returns in the first place. Congress is perfectly capable of taking precautions against unauthorized release of returns. In fact, the House Ways and Means Committee could decide not to take custody of the returns and instead to send members and designated agents to review them at the IRS, where the president’s tax file is reportedly kept in a vault.105 Alternatively, Congress could establish a similarly secure setting to review the returns on Capitol Hill. In any event, the chairman of the House Ways and Means Committee is given unfettered authority under IRC Section 6103(f) to determine the “time” and “manner” for his committee’s review of the returns. For two years, Congress failed to exercise its basic oversight responsibilities in the face of an administration rife with potentially compromising conflicts of interest and corruption. By keeping his tax returns hidden, President Trump has failed the basic standard of transparency set by his predecessors while maintaining a sprawling and largely opaque business empire, with business in and connections to many foreign countries. To fulfill its constitutional role as a check on the executive branch, Congress must seek to answer the question: Is President Trump working for the interests of the country, or himself? Congress cannot adequately answer that question without a complete picture of Trump’s finances and business and financial entanglements; his personal and business tax returns are essential to that inquiry, because they could provide information not available elsewhere. A century-old law provides Congress with the clear authority to obtain Trump’s tax returns upon request and, should it so decide, to release the returns or information from them to the public. Congress’ request would be well within its legitimate investigative and oversight powers. If Treasury Secretary Mnuchin chooses to defy Congress’ request and keep Trump’s tax returns hidden, he will simply be breaking the law. Seth Hanlon is a senior fellow at the Center for American Progress, where he focuses on federal tax and budget policy. He received his J.D. from Yale Law School.